Generally, the IRS must assess tax, or issue a Notice of Deficiency within three years of the later of (1) the date the tax return was due, without exceptions, or (2) the date the return was actually filed. This rule is subject to a number of exceptions and there were two exceptions relevant in this case. First, the service of a John Doe summons will suspend the period of limitations starting six months after the service of the summons until that summons is finally resolved. 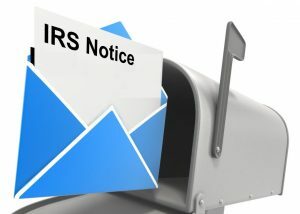 The IRS conceded that the Notice of Deficiency was issued more than three years after the returns were filed and more than three years after the John Doe summons was finally resolved. Therefore, the Notice of Deficiency was still untimely, even with the John Doe summons. Second, the IRS may assess tax within six years after a return is filed if the taxpayer omits income attributable to “specified foreign financial assets”. The taxpayer’s foreign account was a “specified foreign financial asset” as defined in the statute, and he omitted income from that account. The issue was whether this extension could be applied retroactively to years before the statute’s enactment date of March 18, 2010. This decision came down to precise wording. The extension applied to “information required to be reported” under the statute. This wording differs from the phrase “for any taxable year,” which would broaden the application of the provision. The applicability of the six-year limitations period is triggered by the omission of gross income from specified foreign financial assets that are subject to the reporting requirement. The court concluded that the most reasonable way to read the phrase “information required to be reported” within the statute was that the six-year statute of limitations only applied when a reporting requirement existed under that statute. The statute was not enacted until March 18th, 2010 and was only effective for taxable years beginning after that effective date–a date that occurred after the years at issue. The court found the Notice of Deficiency issued to the taxpayer was untimely and granted summary judgment. The statute was inapplicable to tax years preceding the effective date, therefore, the six-year limitations period did not apply to the years prior to the effective date. This case illustrates the importance of reviewing all Notices of Deficiency to determine if the IRS has issued it within the legal time limits, and litigating that question if necessary.